South African hunters will take part in the slaughter of 2 000 hippos in the pristine Luangwa Valley in Zambia. This follows a shock move by the Zambian government, which overturned a 2016 decision to suspend the supposed cull. The killing is due to start next month and is being marketed by a South African hunting outfitter. It is being labelled by conservationists as barbaric. Any involvement from local hunters will add to already considerable reputational damage on an international front. Two South African hunting associations that embrace canned lion hunting - the Professional Hunters' Association of South Africa (PHASA) and Confederation of Hunting Associations of South Africa (CHASA) - recently lost an appeal to retain their membership to Europe's top hunting organisation and were thrown out of the International Council for Game and Wildlife Conservation (CIC) for breach of policy. In the United States, a South African trophy hunting outfitter, Hanno van Rensburg, was charged with leading and participating in the illegal hunt of an African elephant in Zimbabwe's Gonarezhou National Park. His client, Paul Ross Jackson, a former vice president of Dallas Safari Club, pleaded guilty and was fined $25 000 for violating the Endangered Species Act in connection with the same hunt. According to Born Free, Zambia's Department of National Parks and Wildlife has failed to provide evidence demonstrating that there is overpopulation. It says no information has been provided to show that river levels and water flow in the Luangwa River are abnormally low and that there is no scientific evidence to show that a hippo cull would prevent an outbreak of anthrax. 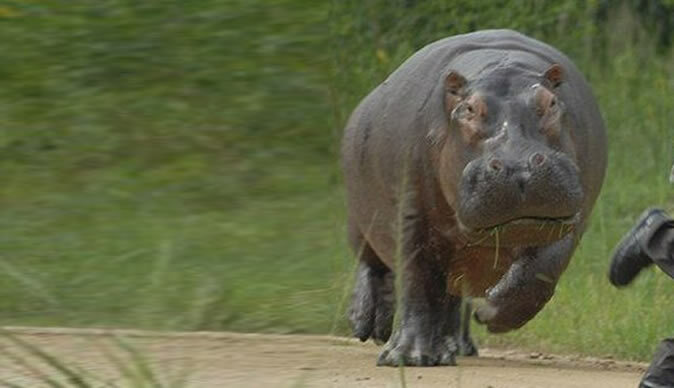 Hippos are listed as 'vulnerable' on the IUCN Red List, with an estimated population of just 115-130 000 animals. Population declines continue to be reported in many countries. As efforts increase to end the trade in elephant ivory, hippos are increasingly being targeted for their teeth.